Last week I must admit, I spent most of my days hiding indoors away from the horrible rain that was belting it down outside. Our good old British Summer is definitely here, we can always count on getting lots of rain and hardly any sun. 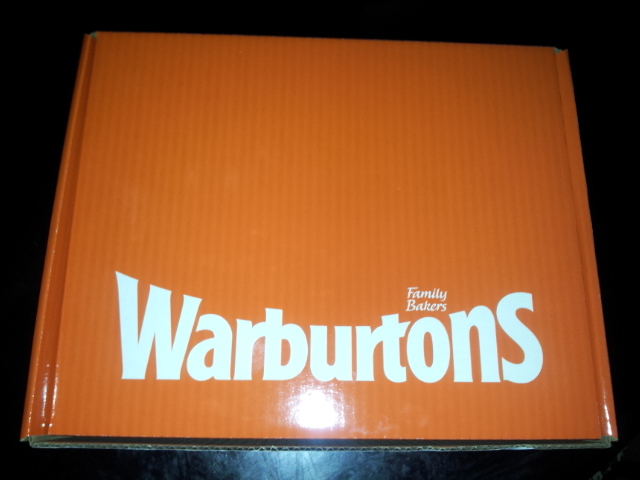 Well, I woke up to a pretty normal Monday Morning start, got the kids ready for school but just as I opened the front door ready to leave for the school run there was a HUGE Warburton s Truck right outside my front door! 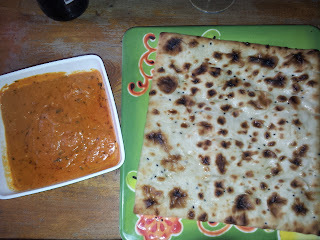 I couldn't believe my eyes, now there was a sight I don't see very often. A man walked over to my door carrying a box and said "Congratulations or so I have been told" I kinda stood there for a second just looking at him before replying "Oooh Thank You" and off he went. 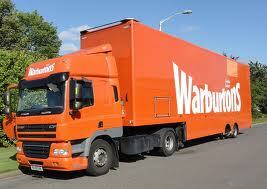 I couldn't believe this whole truck had been sent just for me to deliver me a special box, but what was inside? I ran inside to find out. 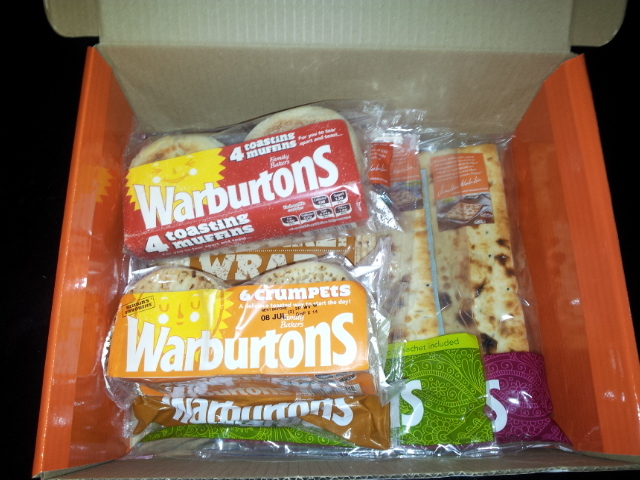 Inside I found some Delicious Crumpets, Muffins and Naan Breads, how yummy and such a lovely surprise. The very next day we had our Crumpets and Muffins for breakfast, It's been a while but I'd honestly forgotten how good they were. 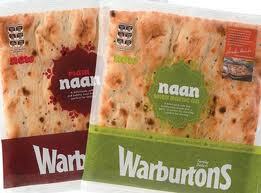 Warburton s Naan Breads are just Delicious, so soft and fluffy and taste Amazing. 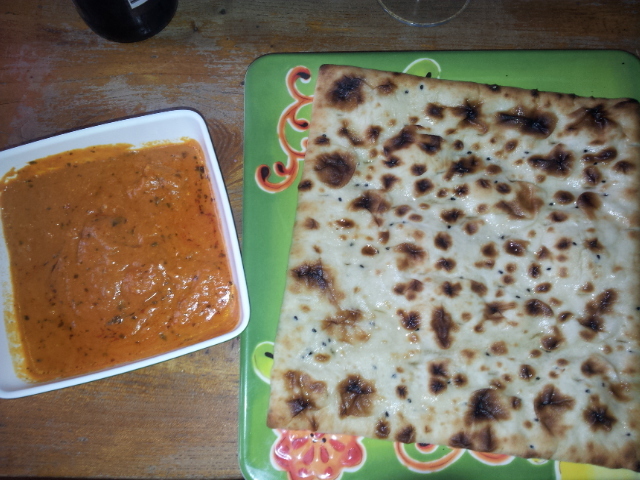 I ate the whole one to myself as it was just too nice to share. 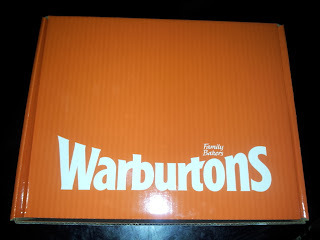 Warburton's really made my day when they turned up at my door with all my yummy Goodies. look easy. The entire look of your site is excellent, let alone the content! but I am sure that your job is clearly identified as a fair game.